Nokia 3310 2017 version will be available in stores in India from May 18, 2017, and the price of the phone is rather interesting. HMD Global has gone for a price of INR 3310 for this feature phone classic. 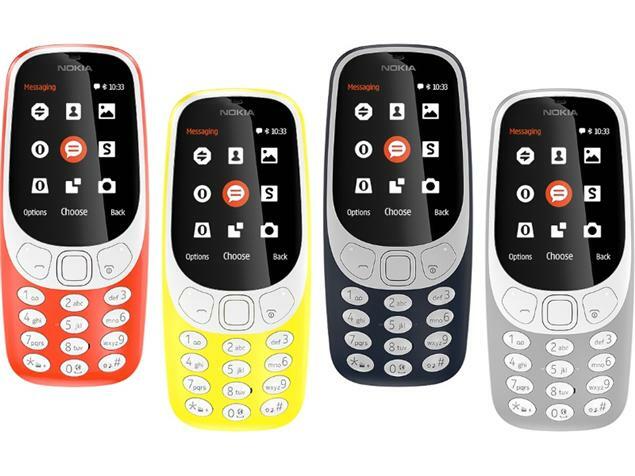 HMD Global is bringing Nokia 3310 in four colors to India. The Warm Red and Yellow, which have a gloss finish, and then there are the Dark Blue and Grey options, both of which sport a matte finish. In terms of specifications, Nokia 3310 has 2.4-inch QVGA display, 1200 mAh battery which claims to offer a standby time of up to a month. The maximum talktime on Nokia 3310 is 22.1 hours. It has the classic numeric keyboard, which has been a standard on feature phones. The design is very similar to the original Nokia 3310, which was one of the most successful phones from the original Nokia brand. Nokia 3301 has a total of 16MB internal storage, with expandable storage as well (up to 32GB). It runs the Nokia Series 30+ OS. Other features of Nokia 3310 include a 3.5 mm headphone jack, FM support and an in-built MP3 player. Nokia 3310 features a 2MP rear camera with LED flash. It supports the new Snake game as well along with some other games preloaded as well. The Nokia 3310 is a 2G feature phone with dual band 900/1800 MHz supported, and this will be available in a dual SIM variant (microSIM). Dimensions of the Nokia 3310 are 115.6 x 51.0 x 12.8mm and it weighs 79.6 g (including battery).